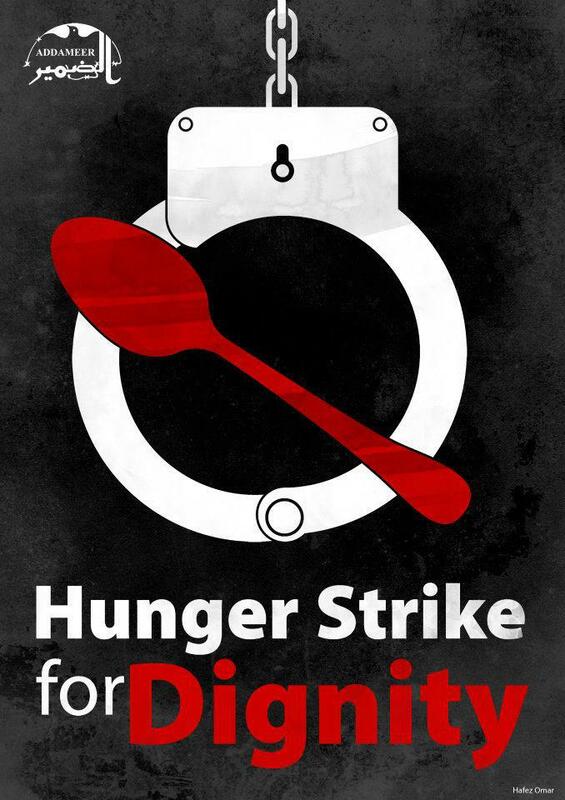 12 days into the open-ended Hunger Strike for Dignity, Palestinian political prisoners are persisting in their strike. Over 1300 prisoners launched an open-ended strike on April 17, Palestinian Prisoners’ Day, joined by 2300 more prisoners on one-day hunger strikes. Since April 17, hundreds of additional Palestinian prisoners have joined the open-ended strike, and hundreds more have announced plans to join on May 1. These prisoners have explicitly called for international solidarity – act now to support their struggle! Send a letter to Israeli authorities demanding full implementation of the prisoners’ demands. An end to the the policies of humiliation which are suffered by prisoners and their families such as strip searches, nightly raids, and collective punishment. Palestinian prisoners on hunger strike have been hit hard with retaliation from Israel Prison Services, including beatings, transferring from one prison to another, confiscation of salt (an act that could have severe health consequences for hunger strikers), denial of family and lawyer visits, and isolation and solitary confinement of hunger strikers. Ahmad Sa’adat, Palestinian national leader, General Secretary of the Popular Front for the Liberation of Palestine, and isolated political prisoner, has already lost 6 kg, even as he reports that prisoners’ morale is high. Palestinians have protested across Palestine, while protesters at Ofer prison were attacked by occupation soldiers. Palestinian prisoners have put their bodies on the line for dignity, justice and freedom, and they need international support. Palestinian Prisoners’ Day saw a call supported by over eighty organizations, with events taking place in Toronto, Seville, Pisa, Madrid, Vancouver (see videos and photos), Seattle (see photos), Chicago, Glasgow (see photos), Dublin, Bradford, Den Haag, Brussels (see video), Manchester (see photos) and many more. The Scottish Trades Union Congress passed a historic resolution supporting Palestine and Palestinian political prisoners. More action is needed urgently now! 2. Join a protest or demonstration for Palestinian prisoners. Major marches will take place in Edinburgh on April 28, at 12 noon, assembling at Charlotte Square; and in London on April 28 at 4 pm, across from 10 Downing Street. Organizing an event, action or forum on Palestinian prisoners on your city or campus? Use this form to contact us and we will post the event widely. If you need suggestions, materials or speakers for your event, please contact us at samidoun@samidoun.ca. 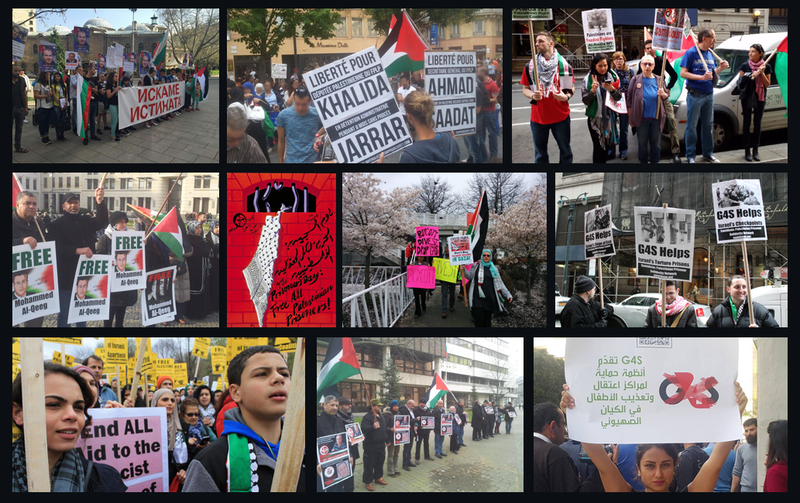 Submit your Palestinian prisoner solidarity activities here!